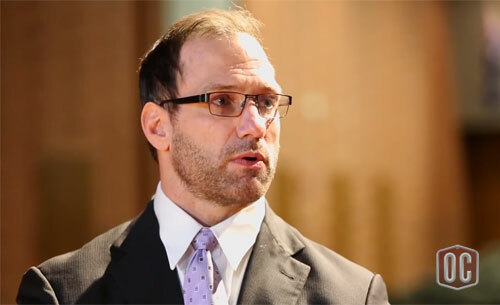 Chris Spielman is a former college football and NFL player who was born in Canton, Ohio. He is a broadcaster, Christian speaker, motivational speaker and cancer survivor and currently an ESPN college football analyst. Spielman was heavily recruited by major colleges and came to play for coach Earle Bruce at Ohio State in 1984. He went on to become a two-time All-American with the Buckeyes and a three-time All-Big Ten selection. One of the most intense and motivated players in Scarlet and Gray history, Chris is OSU’s all-time leader in solo tackles and is among the the school’s all-time leading tacklers overall with 546. PFP Sports & Celebrity Talent Agency is a top booking agent for motivational sports speakers and celebrities. If you would like to book NFL stars like Chris Spielman for a speaking engagement, personal appearance or special event, you can request Chris Spielman agent and speaker information from PFP Sports & Celebrity Talent or call 800.966.1380.